HP 971XL CN627AM Reman Magenta Ink Made in the USA - Oklahoma Toner Co. L.L.C. 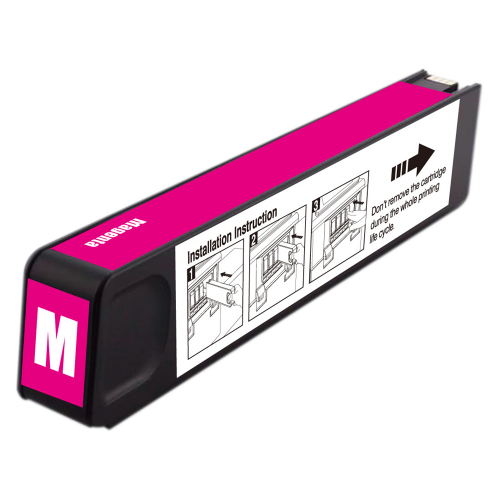 HP 971XL CN627AM Remanufactured Magenta Ink (6,600 Yield) Made in the USA. For Use In: HP Officejet Pro X451dw, X451dn, X476dn, X476dw, X551dw, X576dw. One version of HP X476dn is set up for Mono printing only so only uses the HP 970XL Black.